The Amerock H55465G10 Pilltop Coat and Hat Individual Hook is finished in Satin Nickel. Single hooks are most versatile and can be mounted into wood surfaces and drywall. The classic Satin Nickel finish provides a sleek, lightly brushed, warm grey metallic look. 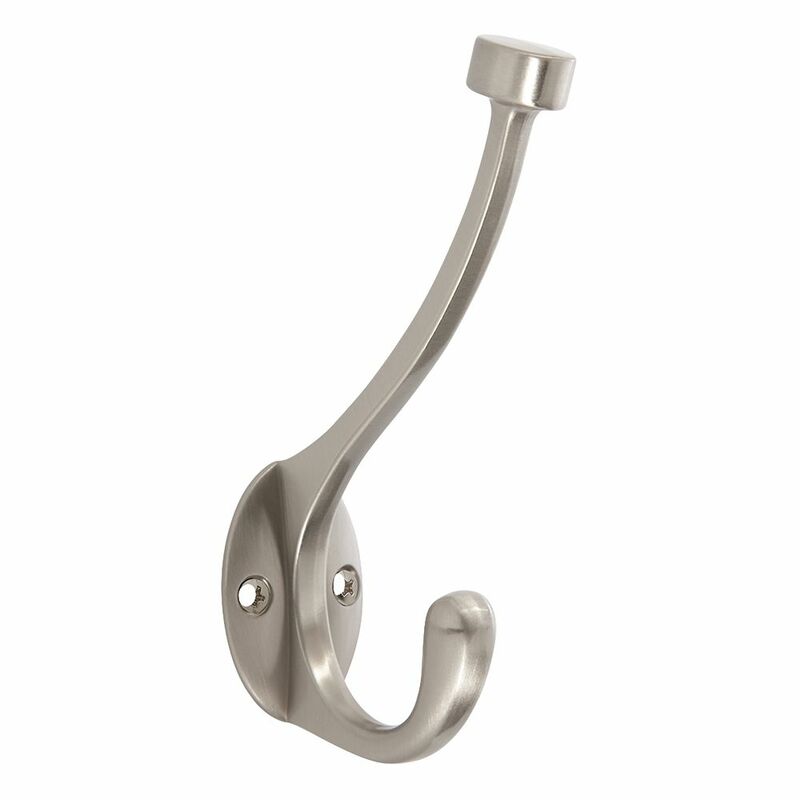 The Amerock HR55662MAS Decorative Hooks 27in(686mm) Hook Rack comes in Mahogany/Antique Silver. Antique Silver is a sleek and lush finish with deep, rich colours designed to complement traditional, transitional and eclectic styled homes. Mahogany is a deep, rich dark wood finish with subtle variations of graining. This Cirque satin nickel Coat and Hat Hook is a useful organizing tool for anywhere in your home. This decorative hook is designed for both strength and beauty. It makes a lovely interior accent to hold your coats, hats, purses, umbrellas, towels, robes and more. Pilltop Coat and Hat Hook - Satin Nickel The Amerock H55465G10 Pilltop Coat and Hat Individual Hook is finished in Satin Nickel. Single hooks are most versatile and can be mounted into wood surfaces and drywall. The classic Satin Nickel finish provides a sleek, lightly brushed, warm grey metallic look.